57,5 x 50,8 cm - 22 5/8 x 20 in. Atelier Degas - Vente Degas, 1918, II, n° 126 (repr.) - [Nunès et Fiquet, Paris] - Paul Rosenbe, New York (Ref. 2404 archives Rosenberg, New York) - [Jacques Seligmann, New York] - Paul J. Sachs, New York - Cambridge, Fogg Art Museum, 1940 (Don Arthur Sachs). 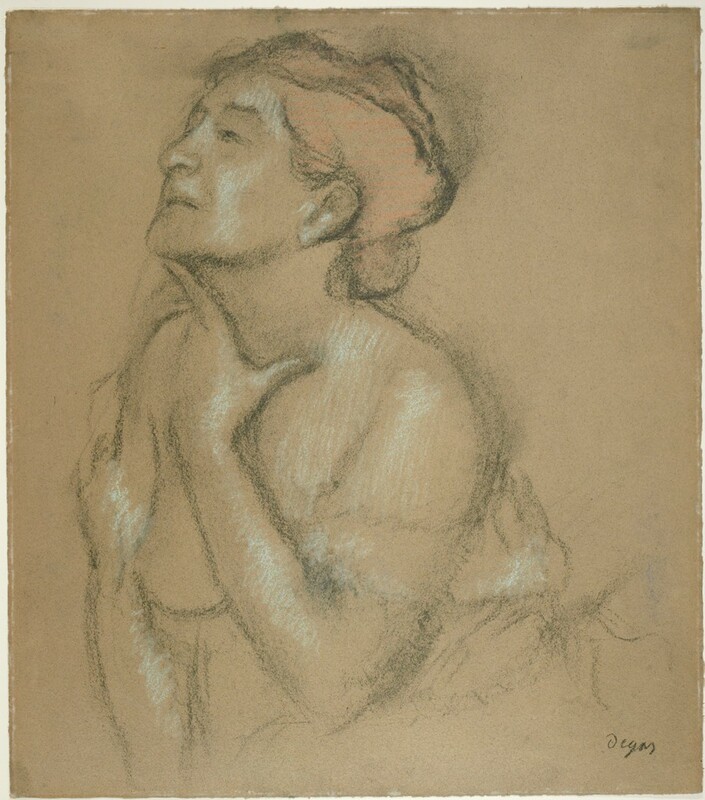 New York, Jacques Seligmann & Co., 1930, Drawings by Degas - Cambridge, Fogg Art Museum, 1931, Degas - Saint Louis City Art Museum, 1932, Drawings by Degas - Northampton, Smith College Art Museum, 1933, Edgar Degas : Paintings Pastels, Sculpture - Bloomington, Indiana University, 1942, Nineteenth-Century French Paintings - New York, Buchholz Gallery, 1945, Edgar Degas : Bronzes, Drawings, Pastels - Farnsworth, Davis Museum and Cultural Center (anciennement Farnsworth Art Museum), 1946, Drawings by Degas - Cambridge, Fogg Art Museum, 2005, Degas at Harvard. Rothschild, "Recent Museum Acquisitions", Parnassus, College Art Association of America, mai 1940, vol. 12, n° 5, pp. 46-50, 56, p. 48 - Mongan, Sachs, Drawings in the Fogg Museum of Art, Harvard, 1940, vol. 1, cat. n° 671, fig. 347 - Lemoisne, 1946-1949, III, n° 798, repr. 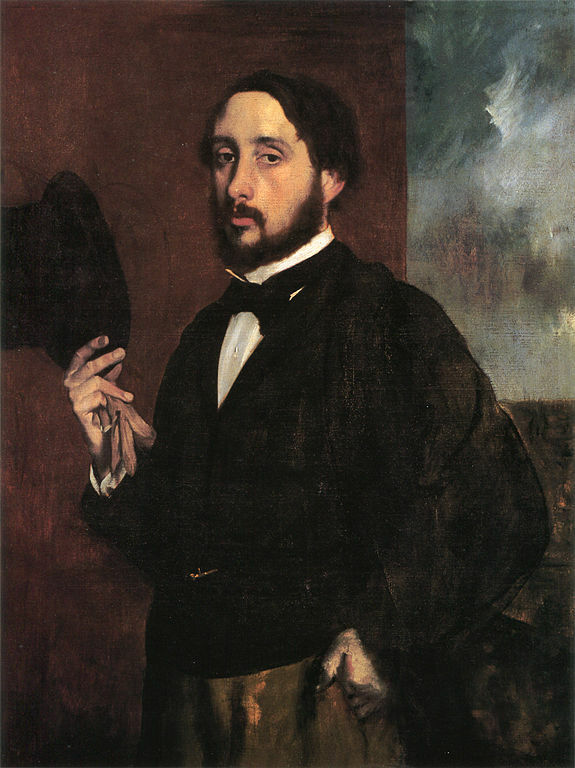 p. 455 - Boggs, Portraits by Degas, 1962, pl. 131 - Lassaigne, Minervino, 1974, n° 627, repr. p. 115 - Desantis, "Study of the Five Degas Pastels in the Fogg Art Museum" (thèse non publiée, juillet 1985, p. 1-94 (Straus Center for Conservation and Technical Studies) - Cohn, Boggs, Degas at Harvard, cat. exp. Harvard University Art Museums / Yale University, 2005, n° 24, fig. 32 (couleur), pp. 64, 75 n. 116 - Hannelore Fischer and Alexandra von dem Knesebeck, "Paris bezauberte mich..." Käthe Kollwitz und die französische Moderne, cat. exp. Käthe Kollwitz Museum Köln, Cologne, 2010, p. 125, repr. p. 125, pl. 121.